My daughter is getting into the Easter spirit. We made some Easter printables a couple of weeks ago & she loved coloring & painting them, especially the eggs. She has been drawing up a storm lately & her main subject has been Easter eggs. 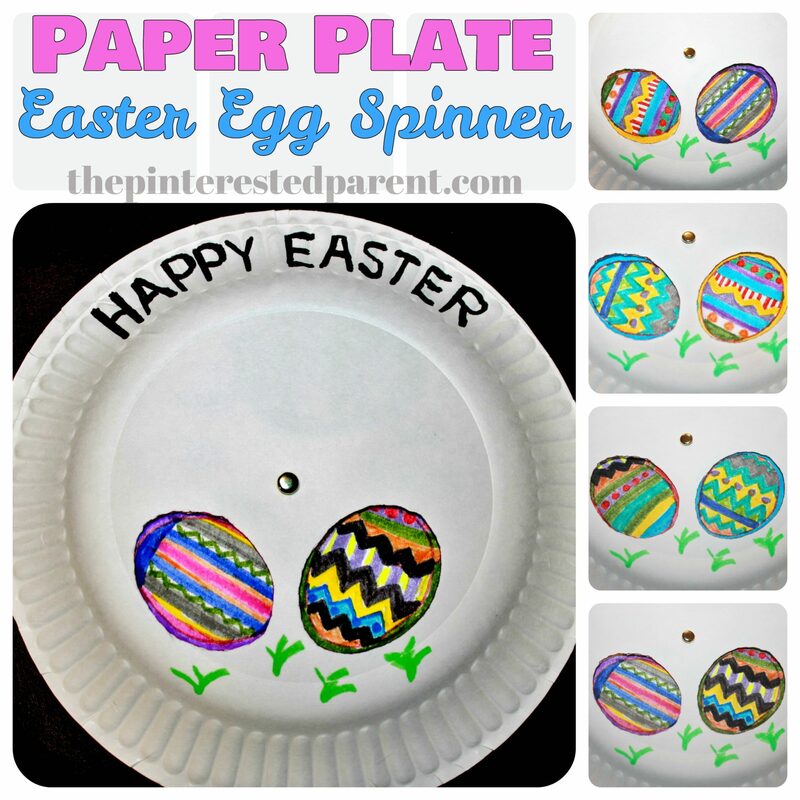 I thought that we could keep the egg theme going with this cute paper plate craft. 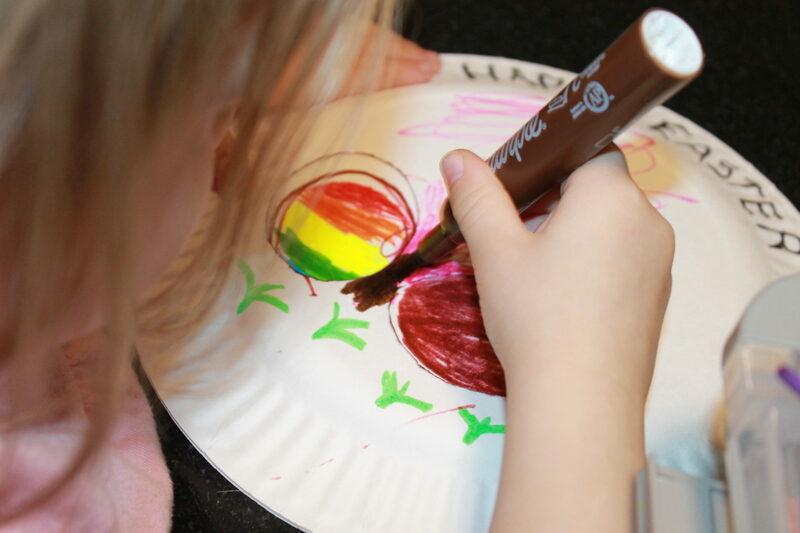 All you will need is 2 paper plates, paints, crayons or markers & a split pin. 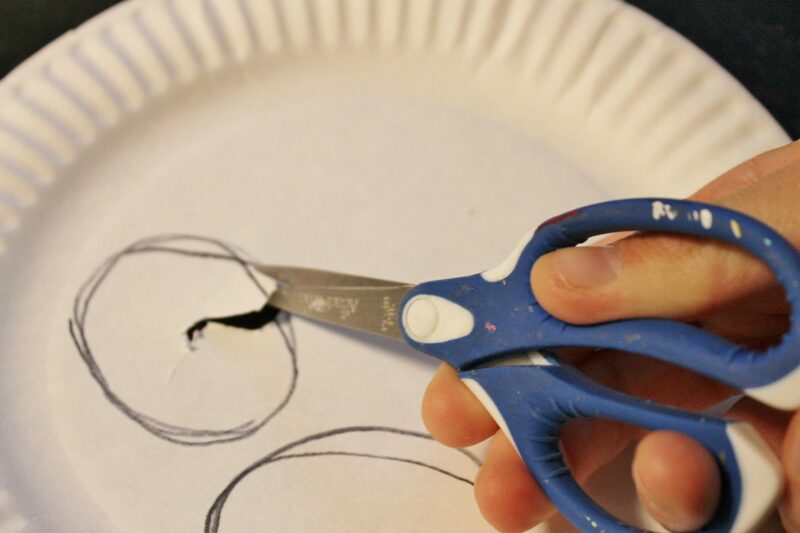 Draw & cut a couple of egg shapes out of one of the paper plates. 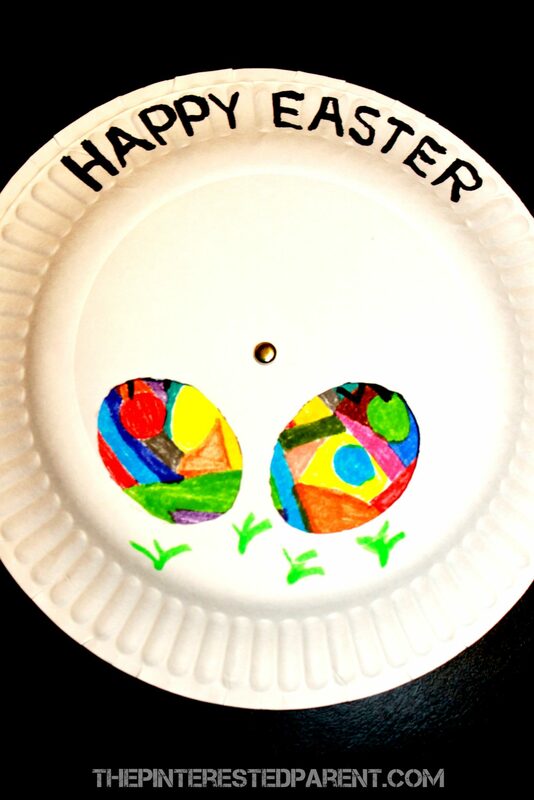 Draw or paint an Easter message or design on the front of that plate. You can do the next part one of two ways. 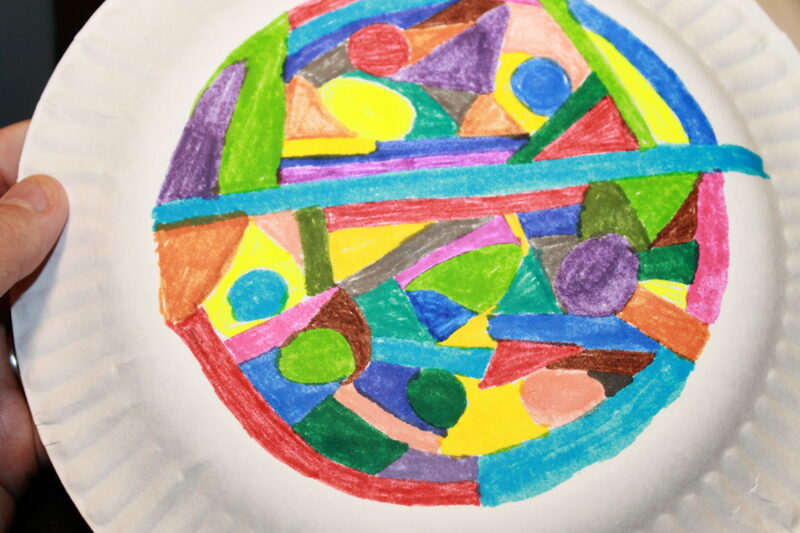 You can paint or color on the back of the 2nd paper plate with random designs. 2. 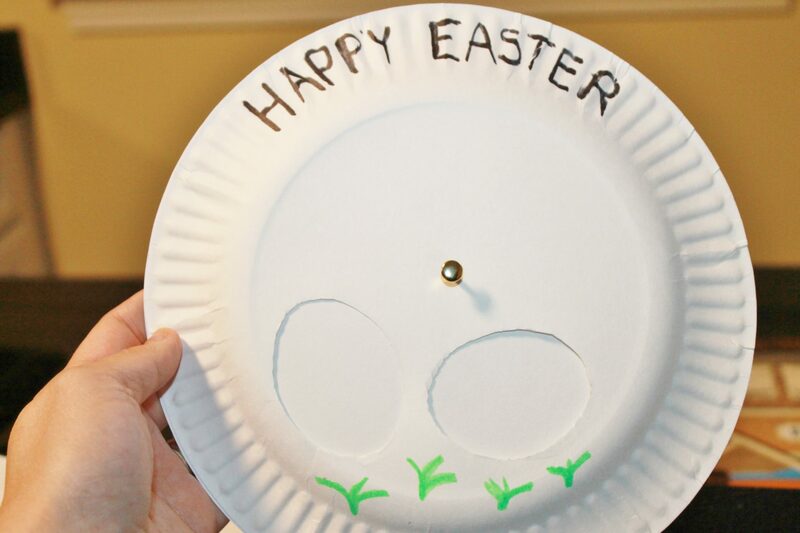 You can use a split pin to join the other paper plate to the back of the first & decorate the eggs through the egg-shaped opening in different positions. My daughter opted for the second option. She did a great job & was very excited to show me her beautiful eggs. 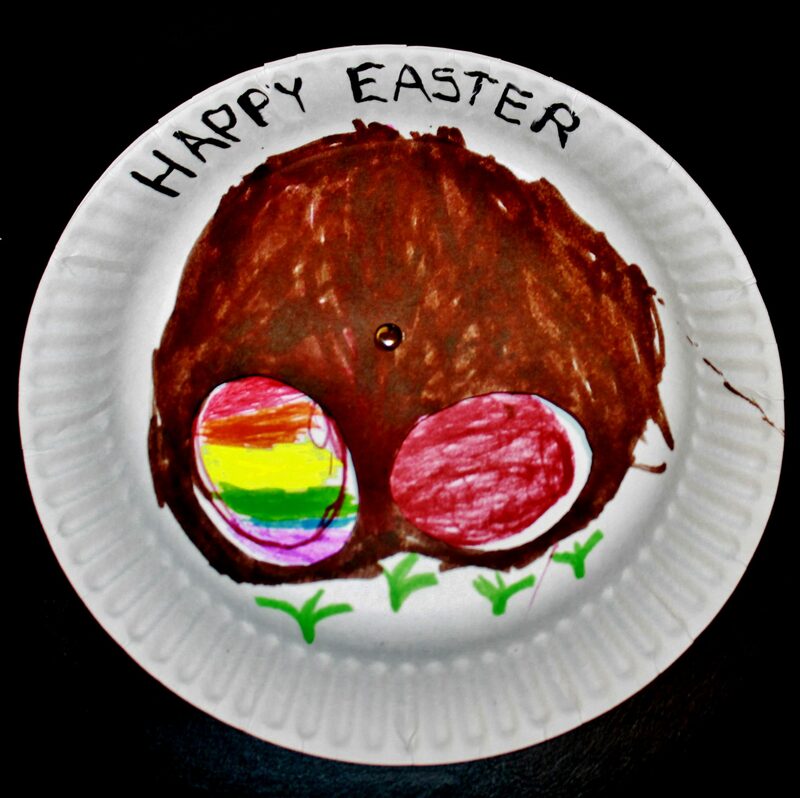 If you liked this Easter craft, take a look at some of our others. Thanks Janine! Yeah, this one was a hit with my girl. 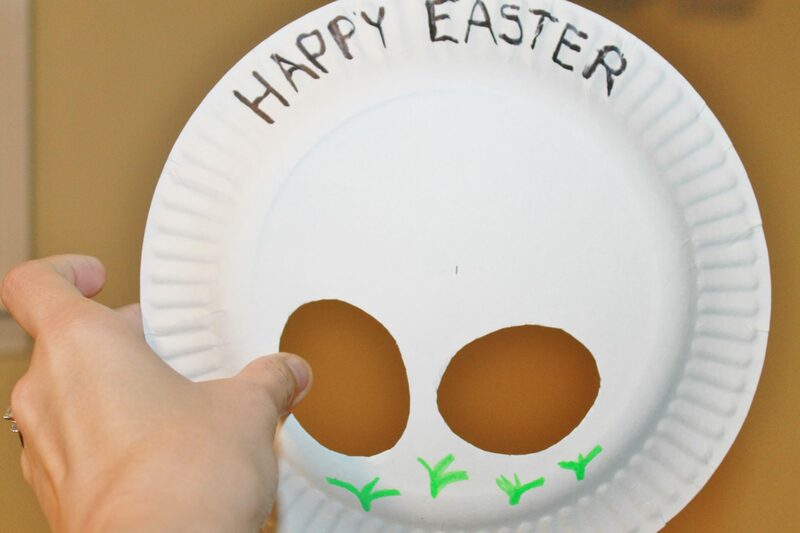 What a fun and simple craft and yet so smart. I can see using that technique in all sorts of fun ways.